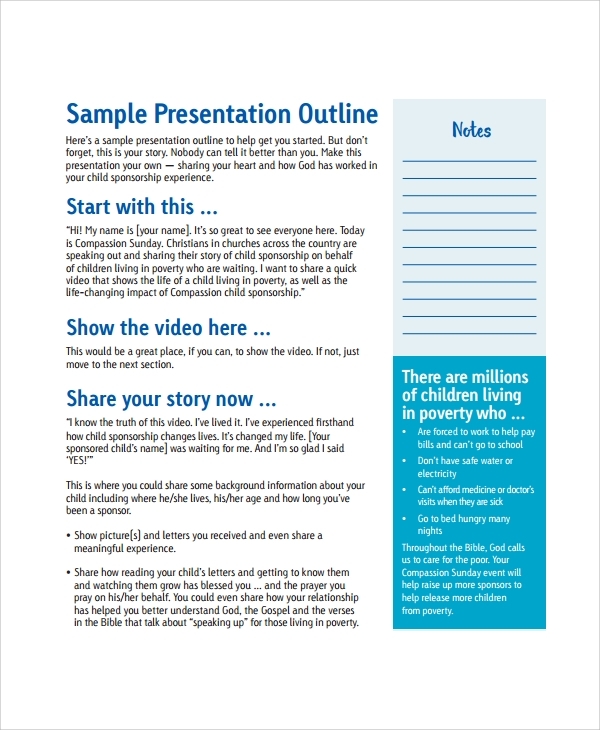 This template helps to create perfect oral presentation that would keep the audience absolutely focused on the presentation throughout. 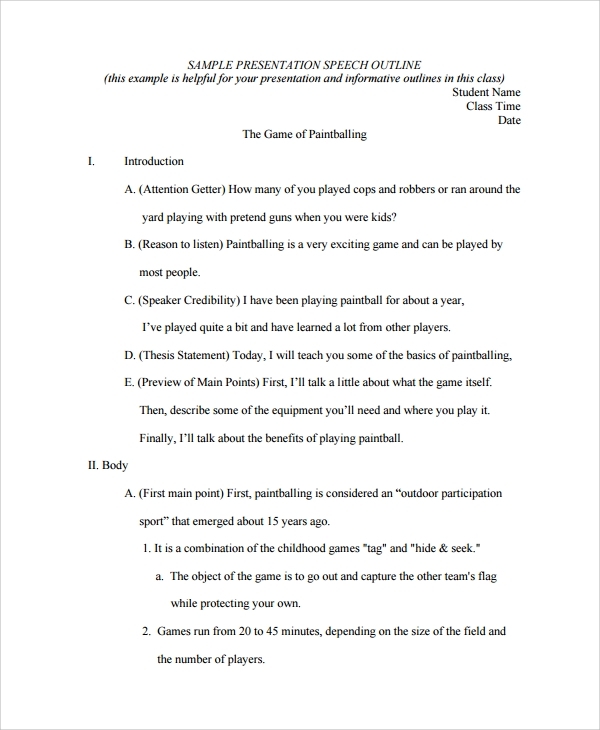 This example of speech helps researchers, scholars, professionals and students to design their own presentations for conferences, company meetings, sales presentations to a large audience, etc. 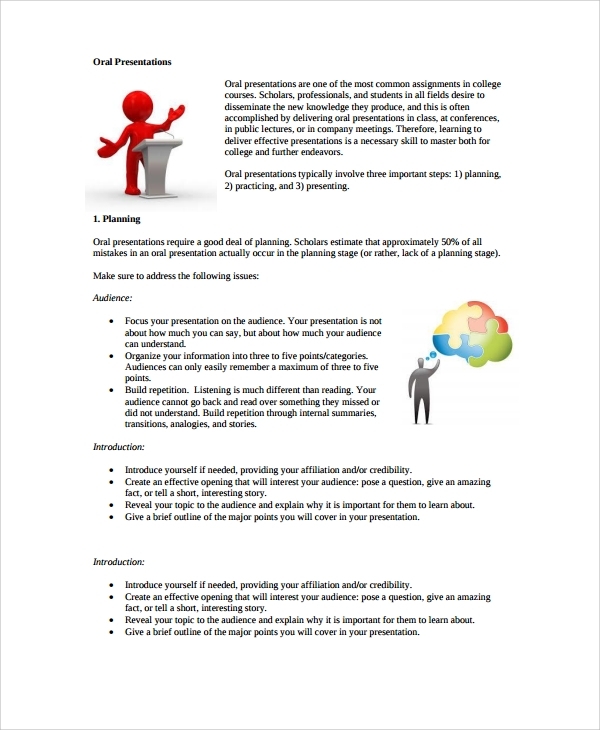 The oral presentation outline template available here also provides professional guidelines on customizing presentations. There are three aspects in any form of oral presentation – planning, practicing and presenting. The sample speech makes a user perfect by delivering guidance in all these three sectors. 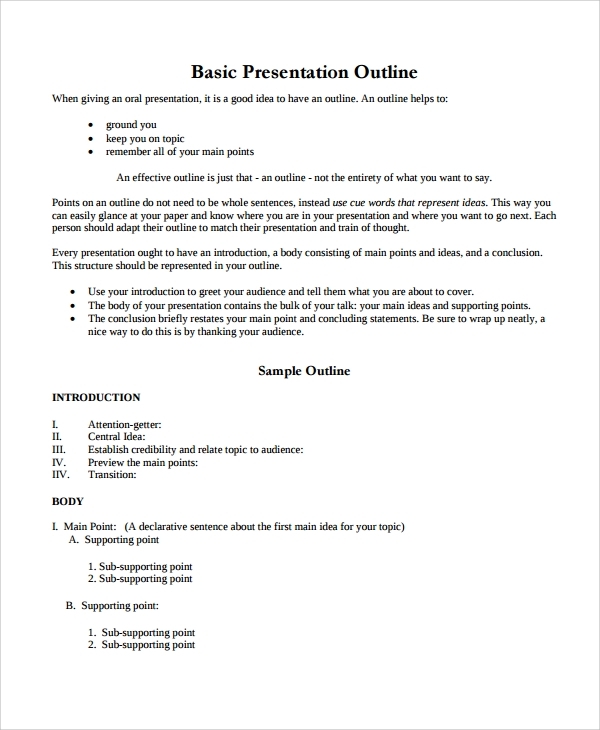 This is the most popular presentation outline template which is equally used by professionals, researchers and students. This makes a presentation easier, elaborate and classy. 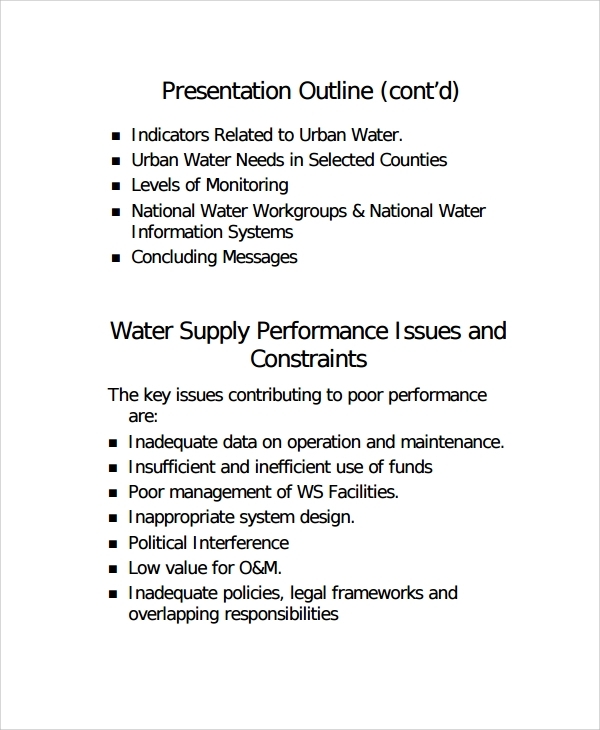 The user can use any number of slides to complete his presentation. The key points in his work, the charts and tables, images, references etc. can be included to make the speech more user friendly. Moreover, wherever needed, user can import excel and word sheets or create a direct link to a website. Hence, it is a dynamic speech format. 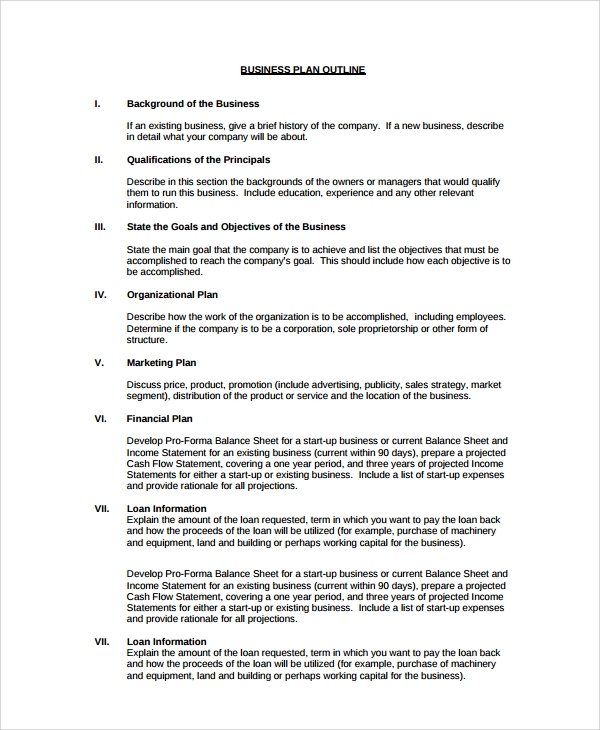 This presentation outline template helps to represent the entire business plan of a company which is indeed very useful for loan sanctioning or inviting investments. This easy to use template touches several essential aspects of a business like the following ones. 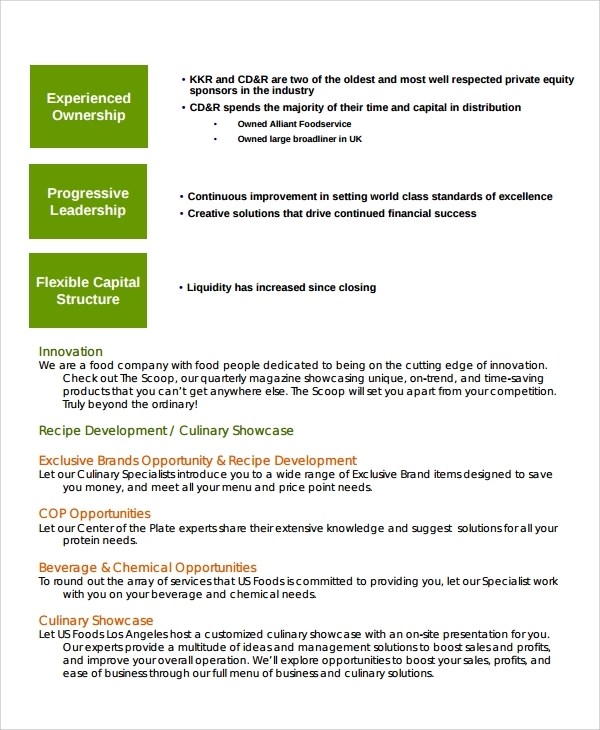 This template also helps to discuss elaborately, without missing any important part of the business plans and future targets. It also provides space to include different important financial statements and required analysis. These templates are easy to download and follow. They are written in simple language to help the users meet their very requirements. These templates are so professionally designed that the users belonging to any profession will be able to build a good impression on the audience. In case of sales professionals, using the relevant template will provide him higher success in market, while for the researchers, these templates will help them to make a grand speech in presence of a large number of learned people.